Although it's early spring, the weather is wintry and Ewa Kempny is still shovelling coal into an antiquated stove to heat her home. "What do you want us to use for heat here? Coal is the cheapest fuel," says the forty-something mother to the two unexpected visitors in her cellar. "It would be far too expensive to hook up natural gas or to connect to the town's central heating network." Municipal police charged with sniffing out residents illegally burning highly-polluting rubbish like plastic, rubber or wood-plastic composites have turned up on her doorstep following an anonymous tip-off about the odd colour of smoke emerging from her chimney. "Whether rich or poor, people burn MDF boards, Tetra packs or plastic bottles," explains Katarzyna Klosok, as she checks the ashes in Kempny's stove and the bills for the coal she has bought. 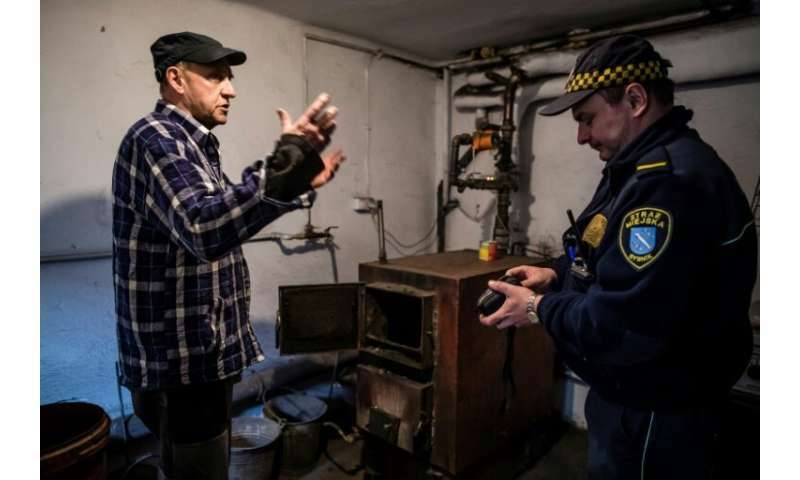 "The day we have wages like in western EU countries, we'll heat with natural gas," says Jan Kilian, a retired miner at another Rybnik home where the patrol showed up after receiving a complaint. The patrol also tells homeowners their antiquated coal stoves will have to be replaced with modern, cleaner-burning models by 2021. A ban on sales of the most polluting stoves was only imposed last year but the low-quality coal which is the main source of smog is still being sold. "Coal, the main culprit behind smog, isn't banned," says Oliwer Palarz, a father of two and local activist with the "Smog Alarm" NGO. 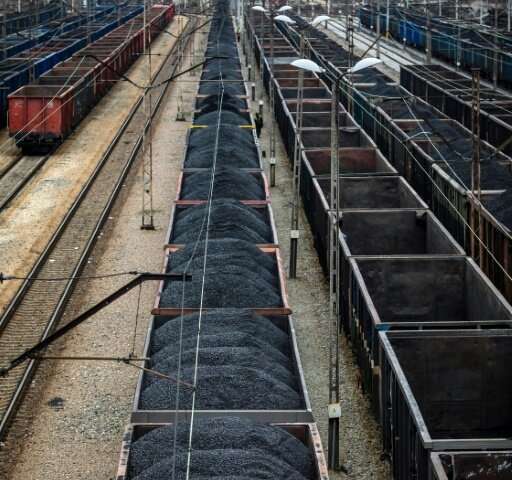 Despite efforts to go green, Poland is still betting on coal, both from its own deposits and imports, as its main source of energy for at least the next decade. 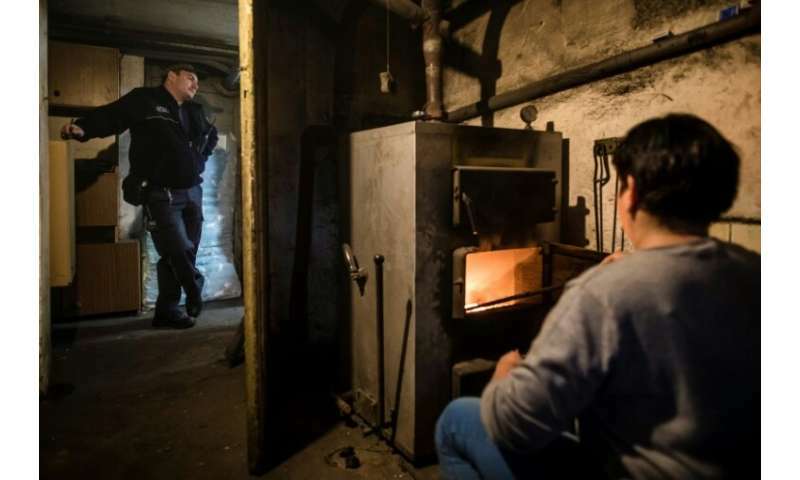 Seventy percent of Polish households burn heavily-polluting low-quality coal or rubbish in old stoves for heating. Antiquated coal-fired power plants also generate nearly all of Poland's electricity, giving it some of the highest carbon emissions in the EU. The European Environmental Agency (EEA) also blames air pollution—caused in large part by the burning of coal—for an estimated 50,000 premature deaths per year in this country of 38 million people. "Smog keeps me trapped inside all winter, I can't do outdoor sports, jog or bike, and above all, I can't take my kids out for a walk because the smog would damage their health," says Palarz. On the odd day, a strong southerly wind clears out the smog but such breezy days are exceedingly rare, says Jacek Szczepanski, head of Rybnik's municipal crisis management centre that checks pollution levels around the clock. Each morning he notifies local schools about whether the air quality is safe for children to play outside. "Today at 7:00 am, the level of PM10 (fine particulate matter) was 40 micrograms per cubic metre and therefore below the limit of 50 micrograms per cubic metre, so children go outside," he told AFP. A green smiley-face posted at the entrance of the school lets kids know the air quality is good, but a red face means they will have to stay indoors. Orange and yellow smiley-faces mean that children ought not to venture outside, especially those with asthma. Schools close when the daily average of fine PM10 particles exceeds 200 micrograms per cubic metre. In January 2017, schools closed for two days when the average daily level of PM10 fine particles surged to 548 micrograms per cubic meter. By February 20, Rybnik had already exceeded EU norms allowing only 35 days per year of pollution above a threshold of 50 micrograms per cubic metre. 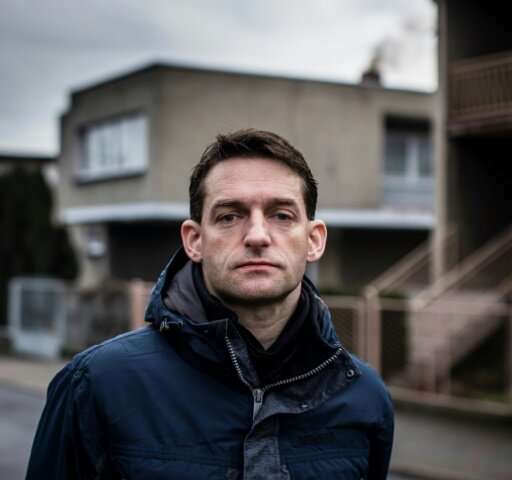 Desperate for change, Palarz lodged Poland's first legal complaint against the state, alleging that his right to a healthy environment had been violated. The presiding judge rejected the complaint, saying that Palarz "could move away" from Rybnik. "By that logic, the whole town should move," Palarz told AFP. He has appealed. In Poland's capital Warsaw, actress Grazyna Wolszczak followed his example and won her case against the state for jeopardising her health by failing to curb pollution, a first in Poland. While in Rybnik coal may be the main source of pollution, in Warsaw and other big cities, exhaust fumes from cars, especially those with diesel engines are primarily to blame for smog. Although many cities in neighbouring Germany have banned diesel engines, Poland has seen imports of used diesel cars soaring in recent years. Last year, more than one million used cars were imported to Poland, half of which were older diesel models.